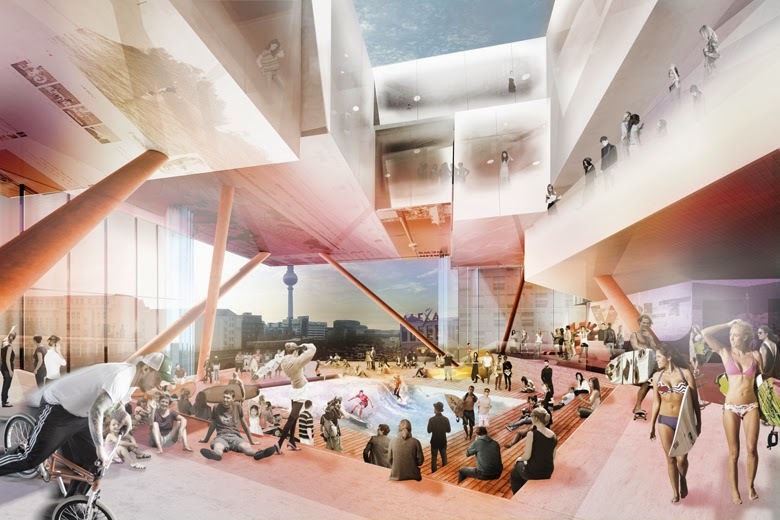 J. MAYER H. und Partner, Architekten has been named the winner of the invited competition for Volt Berlin, a new concept for a location for shopping and urban experience near Berlin's Alexanderplatz. 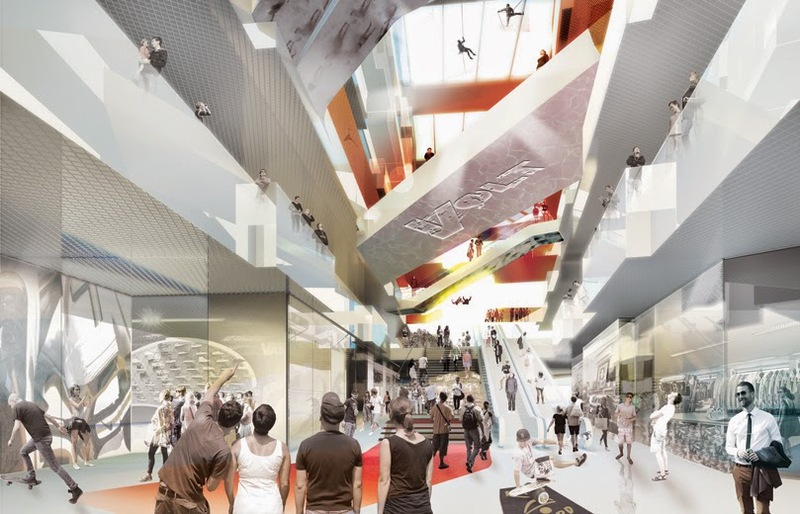 The experience cluster is a fusion concept combining a multi-brand store, various experiential offerings, events, and a hotel, and is directed towards adventurous visitors with a focus on a smart urban lifestyle. The large urban building complex is organized according to its various usages in several smaller boxes that are placed in an uneven grid. One particularly striking aspect of the design is the luminous horizontal glazed line that runs like a tension fissure all the way through the building. This intermediate space, located at the level of the train viaduct, will host the center's most important attractions: indoor-skydiving and a surf wave. This energy line will exude into the urban space around the center, while Berlin and the immediate area around Alexanderplatz will always be present as a location and a backdrop. Labels: Berlin J. Mayer H.